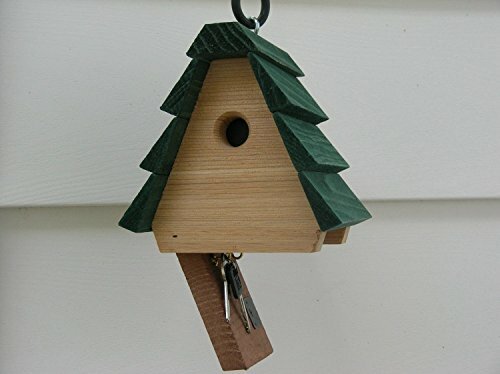 After seeing the review by @@maryanno here on SW a while back, I decided to get this birdhouse. You see, I have a fence that we lock as well as the house. I always have this fear that I'll lock myself in between the house & the gate! We feed the birds anyway, so this was an easy fit. It's a very clever way to hide a key since most people look for little yard statues, under mats, above outside lighting, etc. I'm very happy with it. this is a a very cute idea! I love this! These are great to have for and emergency.